The mention of Ken Done triggers a rainbow of imagery of Sydney scenes and tropic summer days that are quintessentially Australian. The bright colours and tones of his practice exude the activities of summer along the coast and celebrate Sydney's most iconic buildings. 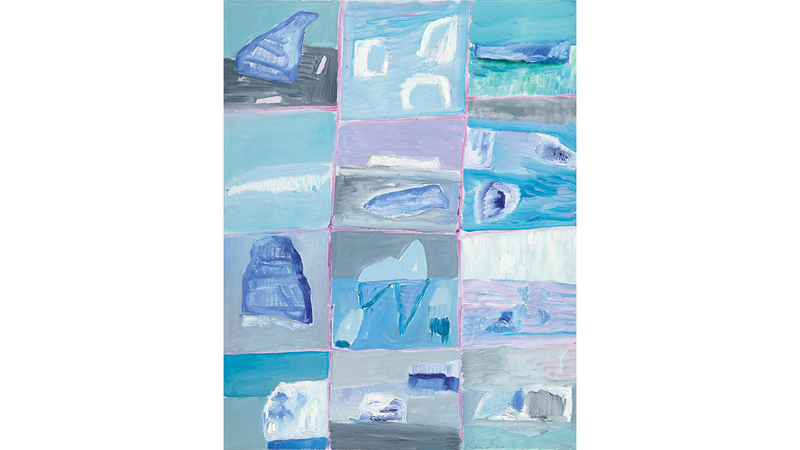 However in his latest exhibition 'Paintings from Antarctica', Done has switched from the warm palette of Australia to a much cooler and demure palette in his travels to Antarctica. 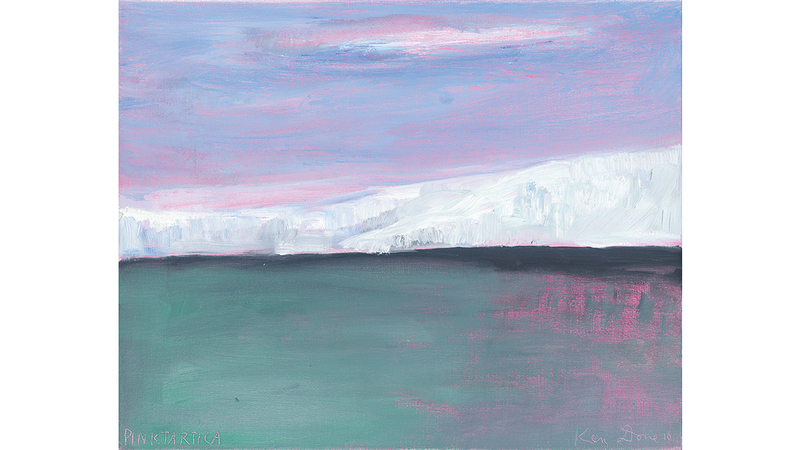 Opening Tuesday 7 June, ‘Paintings from Antarctica’ brings a refreshing cool hue to the Ken Done Gallery. Inspired to support the McGrath Foundation, Done travelled to the Antarctic Peninsula in November 2015. 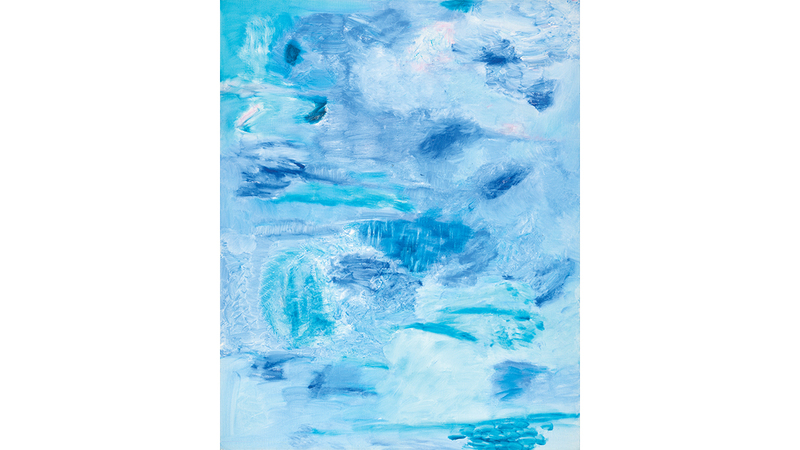 The expedition aptly titled ‘Pinktarctica’ has resulted in the new exhibition, with proceeds from the sales of all works to be shared between the McGrath Foundation and the Mawson’s Huts Foundation. Limited to a palette of cool blues, purples, and pinks, do not fear that this has at all diminished Done’s flair. If anything this reduced starting point reveals Done’s strengths, with highly gestural and confident works presenting a stunning oeuvre of Antarctica. They range from cool and stately, imposing icebergs, to works that are devoted to the entrancing nature of blue ice. Done has excelled in presenting a colourful insight into a place that one can easily assume is devoid of colour range. Pinktarctica revels in the sunsets that express a new array of colours – a warm contrast to the harsh white and ice blue of the landscape. 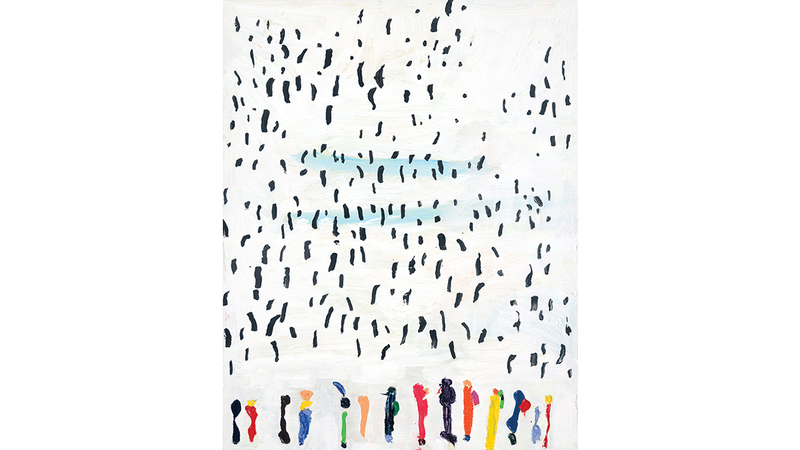 Mixing humour and colour in the landscape, Penguins and people III embraces the presence of the colourfully layered visitors alongside the penguins. The almost abstracted figures present a scene that could easily be mistaken to a day on Bondi Beach. 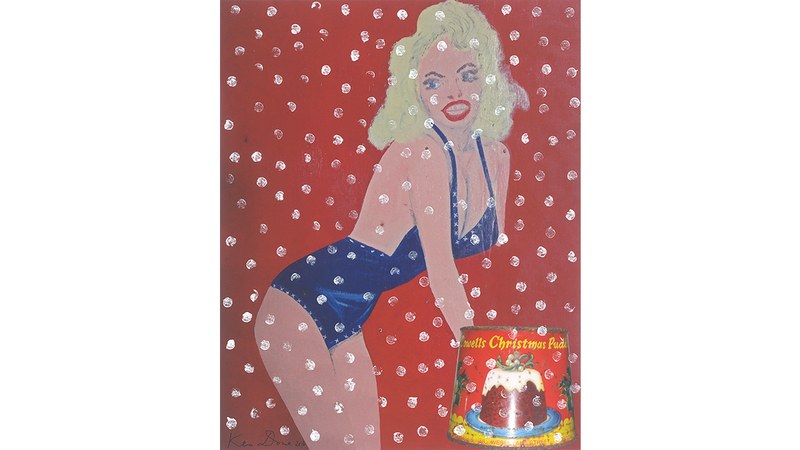 Making their own splash, a series of Antarctica pin-up works reveal the colourful figures that have long called Antarctica home. New and fresh this exhibition remains quintessentially Ken Done. 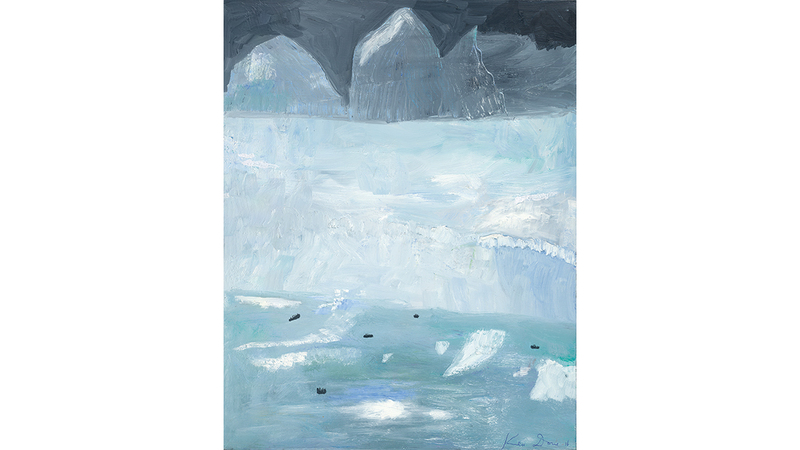 ‘Paintings from Antarctica’ presents a series of works that prove the strength of Done to create a narrative and sense of place despite being far from his time-honoured subject matter in Australia. Courtesy the artist and Ken Done Gallery.